Click here for your fast, free estimate! Roof Repair, Window & Door Installation, Siding Replacement & More! 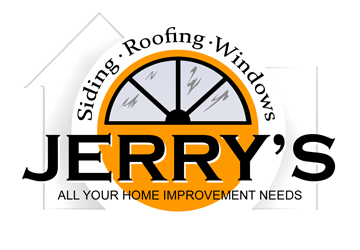 When you need work done on your property, call Jerry's Siding & Roofing Inc. in Severn, Maryland. We’ll dispatch a team to your home or business at your earliest convenience. Once we’ve completed your job, we’ll back our work with a five-year workmanship warranty. You can count on us to maintain the appearance and functionality of your property. Call 410-766-6800 today to get a free estimate on your service in the Severn, Maryland and surrounding areas. Experience. We have over 30 years of industry experience. Reputation. Our business has thrived on client referrals and the relationships we build in our community. Range of expertise. We provide window installation, gutter and roofing services, door installation and siding repair and replacement. Price. We offer low prices and financing options for each of our services. If you’re having your property built, we can work with your construction company to make sure your new home or business building looks its best. We’ll make sure your property remains in top condition. Schedule a service for your home or business in Severn or the surrounding areas in Maryland by contacting us today. We also serve Annapolis, Severna Park, Columbia and Pasadena. The founder and current owner of Jerry's Siding & Roofing has been managing this business since he was 22 years old. Since then, we’ve hired skilled workers who are ready to tackle any size project you need completed. No matter what service you request, we’ll make sure you’re satisfied with our results. Contact our office in Severn, MD today to find out more about our services. "Thank you for the great care in taking care of our home. A special thanks to Ed for his detailed work and for keeping the homeowner feeling confident in him and your company." "To simply say "thank you" is not enough for the gift you have given us. Our new roof is amazing and we couldn't be happier. You and the whole crew did an incredible job. We have been blessed to have people like yourself cross our path in our time of need." "Thank you for the wonderful job installing our new roof. Not only were we impressed with the workmanship, but the clean up was spotless! Thanks again for the fantastic job." "Your workmanship and conduct from start to finish have been exemplary, and for this we say thank you. Our home is truly beautiful! Please know how appreciate we are of you and of each and every detail from beginning to end." "Thanks for the great work! " "Jerry's team never ceased impressing my wife and I. From the moment they met with us to guide us on the selection process they gave us the support and attention we needed. "